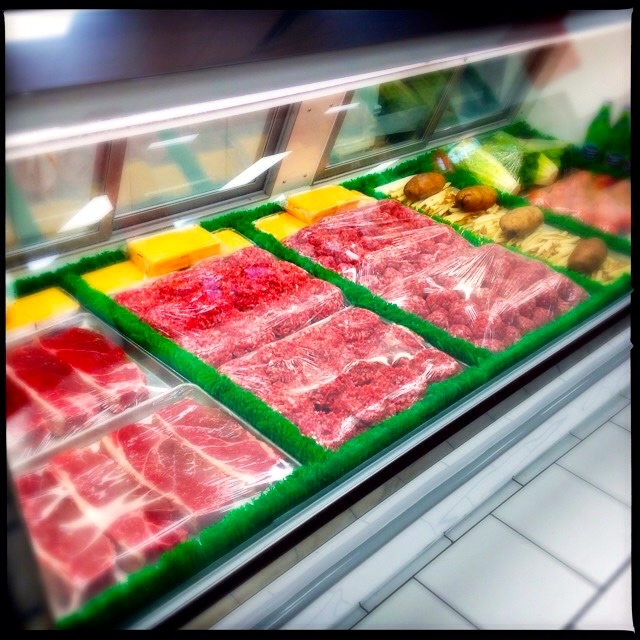 Pleased to Meet You and Meat to Please You! 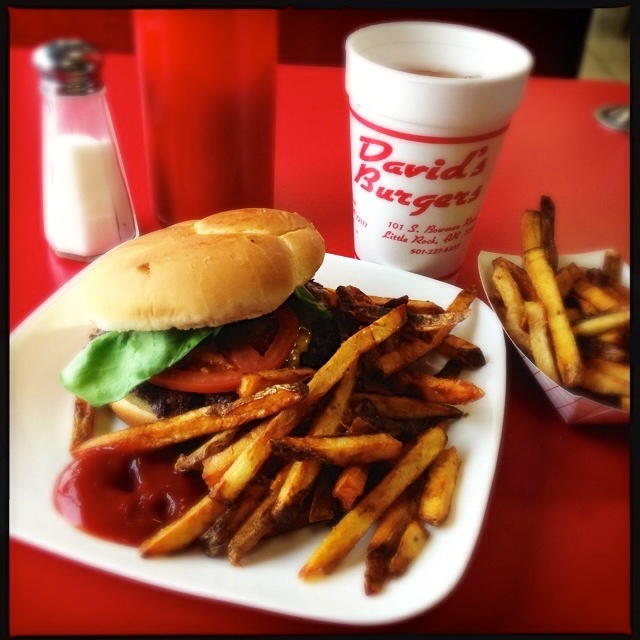 From the hand-packed burgers ground from fresh steaks, to the abundant hot fresh fries served while you wait, David’s Burgers just might be the very best burger place in Little Rock. Maybe even the whole state. Maybe even the Universe. 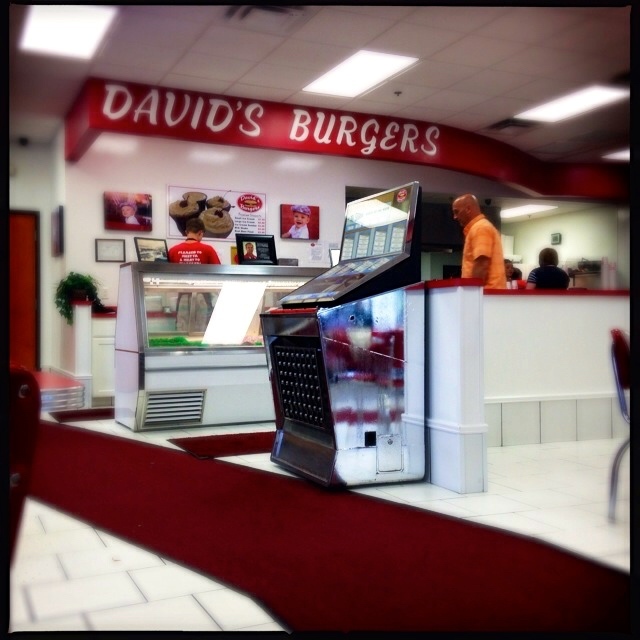 When you first walk into David’s, you see a great glass case on the left where they have large steaks and ground meat. Now they don’t sell those steaks. At least, not as steaks. That’s what they use to make their fantastic burgers. 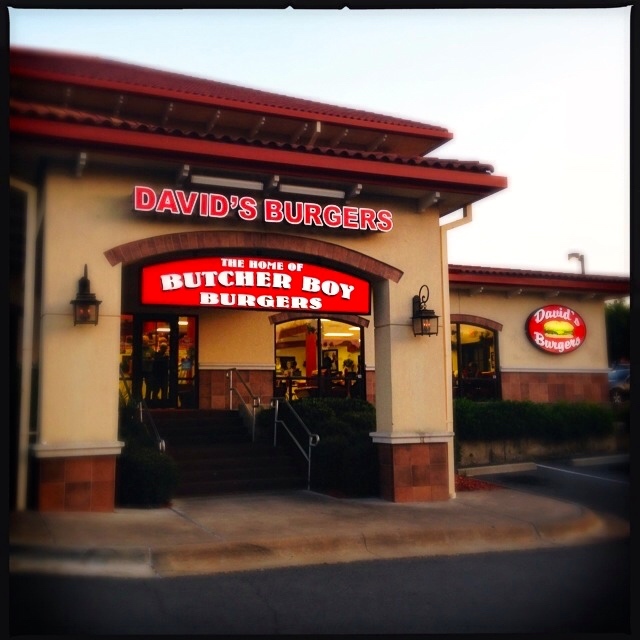 David’s motto is “Pleased to Meet You and Meat to Please You!” and they’re not kidding. 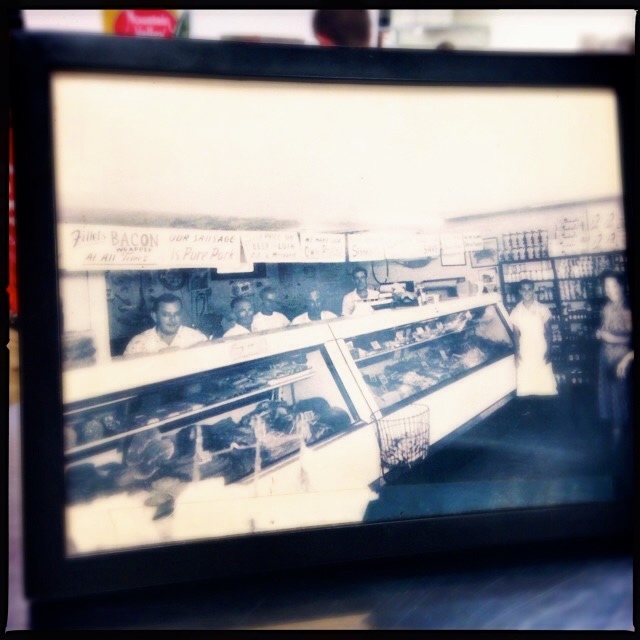 Their 1/3 pound Butcher Boy burgers are formed by hand and ground from steaks hand cut at the restaurant from entire sides of USDA choice boneless beef chuck. They use no trimmings, fillers or added fat, and they don’t freeze their burgers to get ahead. They hand form them into volcanoes, then hand ball them. The resulting burgers are juicy, beefy and tender. It’s pretty much the ultimate backyard burger. Deep, rich, beef taste, and beef still soft from hand packing. You order at a counter and they hand you a metal stand and a number. 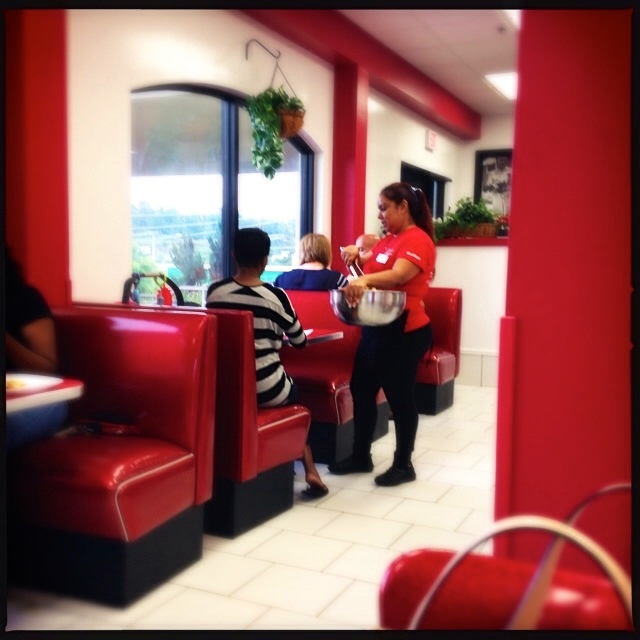 They will bring your food to you. 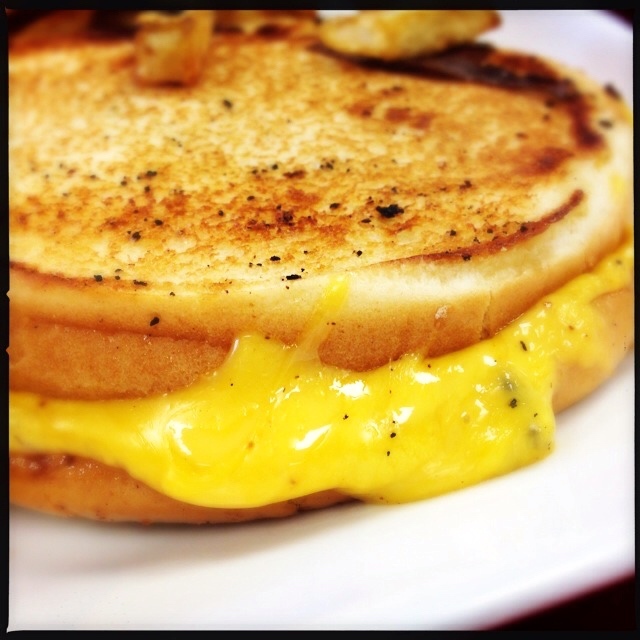 The menu is simple: single or double burgers or cheeseburgers, single or double hamburger steak (no bun), grilled chicken sandwich, or a grilled cheese. I always get the #1 a single burger with cheese, fries and a drink. It’s plenty. Yes, they’ll even make a grilled cheese for your kids or your vegetarian wife. Note how they grill the buns inside out so that it comes out like a grilled cheese sandwich and not a meatless burger. The standard toppings are free, but cheese, bacon, jalapenos, grilled onions or grilled mushrooms are extra. And by extra, I mean from 29¢ (jalapenos) to 49¢-69¢ (cheese) to 99¢ (bacon). It’s a deal. The seating area has a great jukebox filled with old 1950s rock and roll music. When you sit down, they bring you fries while you wait. Like all-you-can-eat fries. Like “would you like some free fries while you wait for your paid for fries,” fries. Thank you, basket of fries lady! The fries are cut from real Idaho potatoes. They cut 500 pounds of them a day into long strips a quarter inch thick with their skins left on. They told me that they fry them for one minute, let them rest, and then fry them for five more. This effort results in a deep potato flavor that is very rewarding. Then they are perfectly crisp and perfectly salted. In fact, it’s really hard to decide which to eat first, the burger or the fries. The cheeseburgers have a deep, delicious beefy flavor. The flavor is intense: the beefiest burger I’ve ever had. 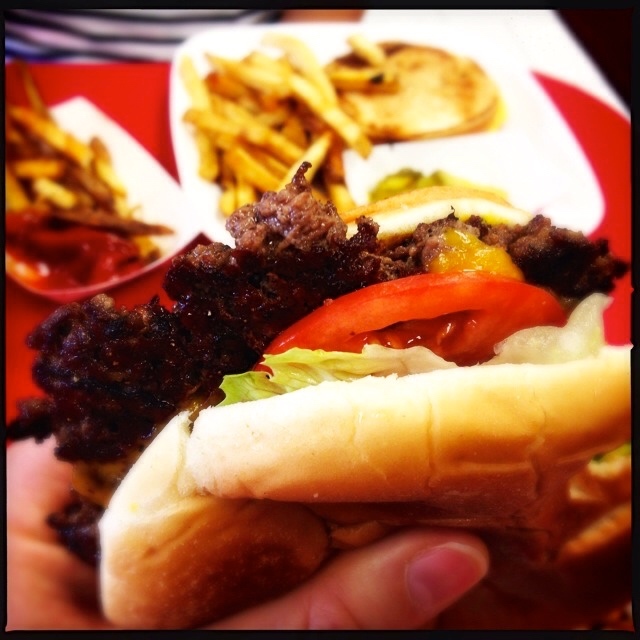 The meat is soft, not dense, because they loosely pack their burgers by hand. The buns are nice and soft, not crumbly, and they don’t break up under the meaty juices. The burgers come with juicy, red ripe tomatoes and crisp lettuce. 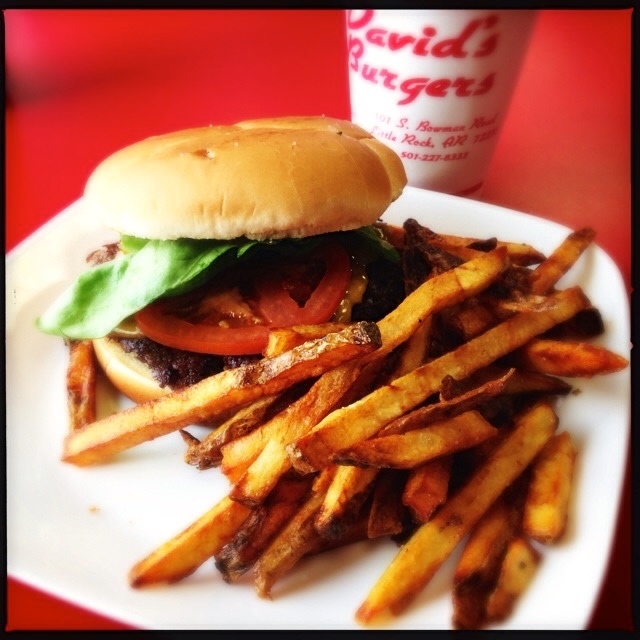 If you order it David’s Way, the burger comes with mayonnaise, mustard, lettuce, tomato, pickles and onions. Note the sidecar of extra fries. “In case you run out,” they said. Amen, sister. Amen. If you have any room left, they also have homemade ice cream, in vanilla, chocolate, strawberry and butter pecan flavors. You can order it as ice cream, an ice cream sundae, or a root beer float. I’ve never had any extra room after my meal, but I really want to try their ice cream so I’ll make a special trip back just for that. 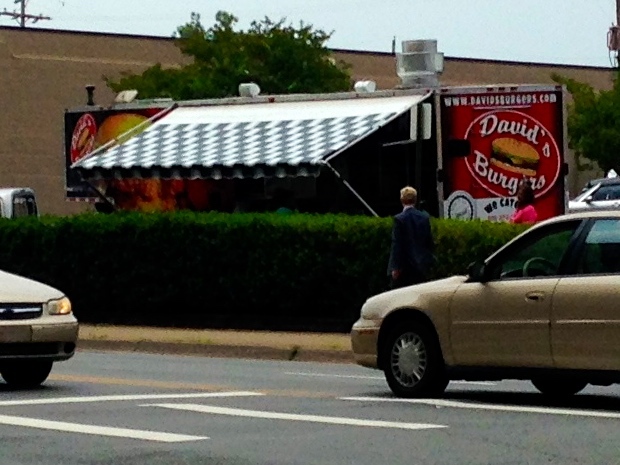 They also have a food truck that parks right outside my office. It is a good thing that I am 19 floors straight up. It is just far enough that I can resist its siren call. But just barely.